This week-long adventure will take place primarily in Florence, our home base. Students will visit neighboring Fiesole, a Florentine suburb that overlooks the city. Here, students will partake in an optional hike and afternoon drawing session in this peaceful reprieve from the city. Students will get a further taste of the Tuscan countryside with a wine tour, where we will conduct classwork within a medieval village, and later in its surrounding vineyards. Lunch this day will take place at the beautiful farm and cantina, Fattoria le Masse (for more on these excursions check out the blog post here). With most afternoons fairly open, students will also be given some time for their own local exploring. Breakfast , 3 dinners and a vineyard lunch are included in the program price. Dinners will include 3 meals-out at excellent local restaurants with authentic Tuscan fare. We will also have a catered fresh-from-the-garden lunch on our vineyard excursion. The city of Florence is filled with delicious and affordable places to eat, all within a short walking distance of the accommodation and drawing sites, so students will be presented with lots of options.
" If you are in any way considering the Tuscan Drawing Excursion, just do it. Right now. From beginner artists to those with more experience, the time spent immersed in the page of a drawing offers lessons for everyone. Your days will be well spent and will fly by before you know it. Christine offers insightful feedback, helpful hints, and a new way of seeing the world around you as an artist, budding artist, or non-artist. Everyone can learn something from taking the course, both on and off the sketchbook pages. Christine has set up amazing authentic Tuscan experiences that will expose you to another side of Italy you may not have seen before. (And be sure to take her up on all her food recommendations!) Have you booked yet? What are you waiting for?!" To hear more about this class and others, please subscribe to my mailing list. Since 2009, Christine Garvey has been teaching drawing and print-based workshops internationally, working with institutions like Concordia University, Florence University of the Arts, Betahaus Berlin, The Brooklyn Brainery, Pioneer Works Center for Art and Innovation, and The NY Center for Book Arts. A long-time lover of Italy, Christine first visited as a student in 2006 and has been addicted ever since. In 2013, Christine returned as a teaching artist with Concordia University’s study abroad program in Bagnoregio, assisting in the direction of a month-long drawing course. 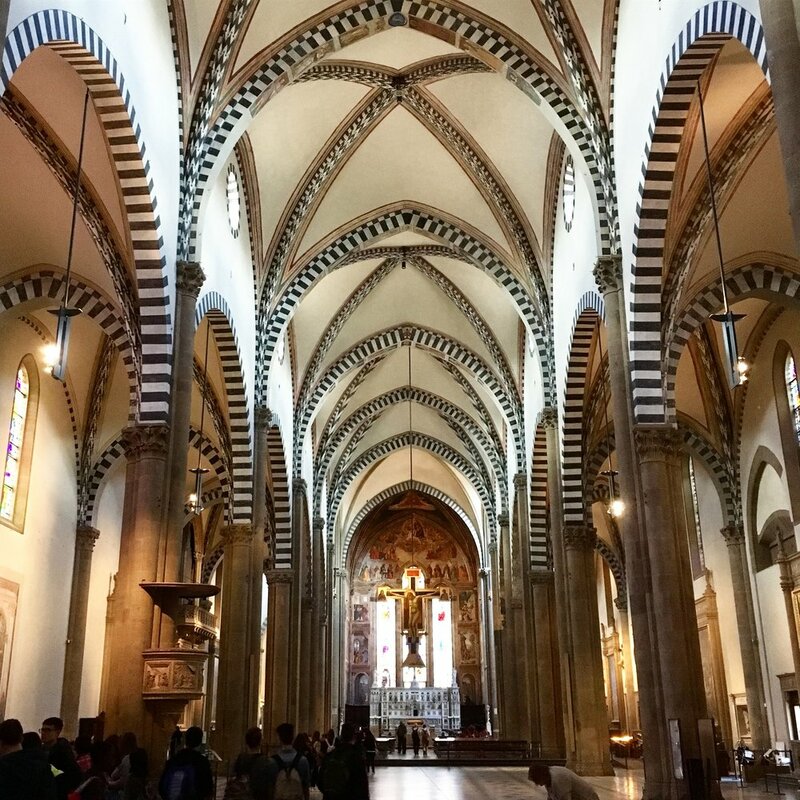 She returned to Florence in 2015 as a Fulbright Scholar and Visiting Fellow at Florence University of the Arts, and began her own program, Tuscan Drawing Excursions. Since then, she's been bringing students from across North America to Italy to learn the practice of drawing in the inspiring place that is Tuscany. When she's not in Florence, Christine works as a full-time faculty at the University of Texas at Austin, teaching in their Art Foundations program.